In an earlier post, I started to enumerate some features that I would like to see in a good homeopathic software, and how some of those found their way in to iCure, my own software. In this post, I would like to share another interesting feature called Themes. Sometimes when you elicit rubrics from a patient’s history, you might notice some patterns, for example, complaints are worse at night, or after eating, etc. Note that I am not talking about a single complaint, but about multiple complaints with the same modality. Although a good observer will see this pattern immediately, I feel it would be of value if the software is able to point this out automatically. I call these patterns as themes, and I had implemented this feature in iCure. See the sample theme view shown below. In this case, amelioration after eating and right to left are patterns noticed in the rubrics. 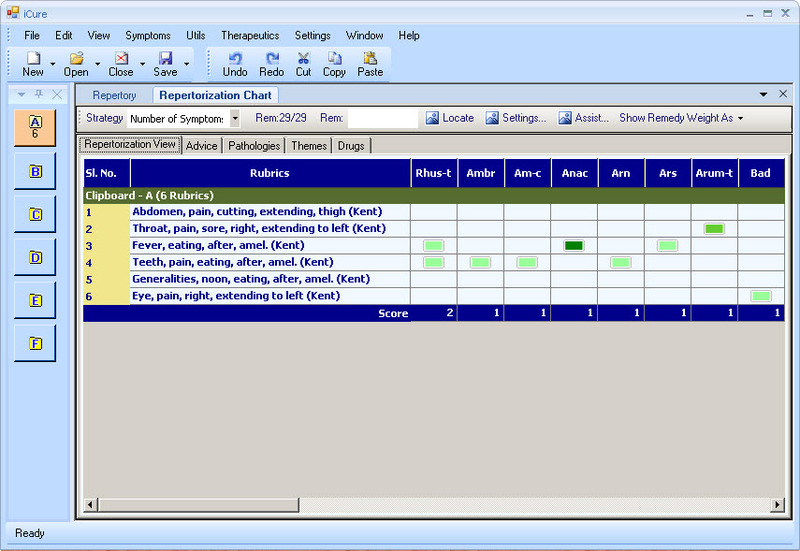 This view does not show the actual remedies, but only the themes. 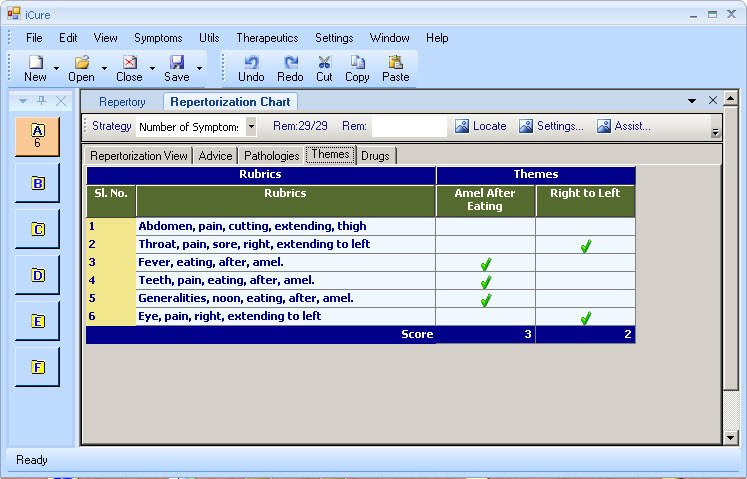 If you click the Repertorization View tab, you can see the actual remedies. Identifying themes is an interesting and somewhat challenging exercise. iCure comes with a sample set of themes, but you can easily add your own through the Themes Browser. See the image below. Once you have added your themes to the database, next time iCure will use them as part of repertorization, as it does in the case of built-in themes.